London mayoral candidate Sadiq Khan has criticised Transport for London’s (TfL) plans for a road tunnel under the Thames at Silvertown, saying proposed tolls could be seen as ‘a tax on East and South East Londoners’. Mr Khan, Labour’s candidate in next month’s election, also called for a strategic review of river crossings and public transport connections east of Tower Bridge and criticised current mayor Boris Johnson’s proposals as ‘piecemeal’. His comments on the Silvertown tunnel mean that his Conservative rival Zac Goldsmith is the only leading mayoral candidate to fully back the scheme. Both Liberal Democrat Caroline Pidgeon and Green Party candidate Sian Berry oppose it. Last month, Transport Network revealed that Mr Goldsmith was the only candidate to support Mr Johnson’s plans for other tunnels in the capital. 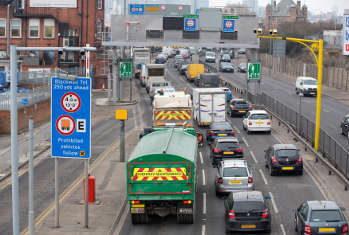 ‘Plans as they stand for the Silvertown Tunnel do not fully take into consideration the importance of greener transport, and imposing a toll is in many people’s minds a tax on East and South East Londoners. TfL’s proposals for the Silvertown Tunnel, which would follow the route of the cross-Thames cable car, would include user charging on both the new tunnel and the existing Blackwall Tunnel to pay for the scheme and keep traffic levels down. The proposed tunnel is part of a wider package of Thames crossings set out by TfL last December in Connecting the Capital. For more on TfL’s plans for river crossings and tunnels see April’s issue of Surveyor.